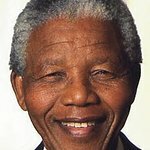 South African President Jacob Zuma wishes the founding father of the nation and first President of a united democratic South Africa, Nelson Mandela, a happy 95th birthday. Madiba remains in hospital in Pretoria but his doctors have confirmed that his health is steadily improving. “On behalf of government and all the people of South Africa, we wish Madiba a joyous 95th birthday. 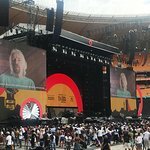 We are proud to call this international icon our own as South Africans and wish him good health. We thank all our people for supporting Madiba throughout the hospitalisation with undying love and compassion. We also thank all for responding to the call to give Madiba the biggest birthday celebration ever this year,” said President Zuma. Happy 95th birthday, Tata Madiba!